I am a French woman, I am a Potatoes loveuse , I am a BBQ loveuse but I would feel guilty if I had Potatoes everyday (even if I would love to) ! If eating healthy is necessary, eating tasty is essential !! 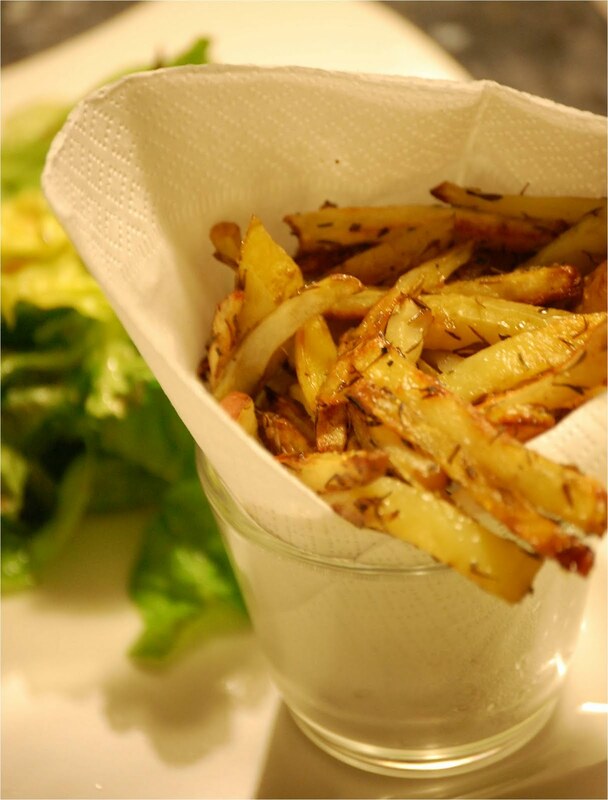 Unfortunately, the homemade Fries you can find everywhere can be tasty, but definitely NOT healthy !! I don't have any deep fryer at home (and don't want to have one). However my fries are always crispy, tasty, with only a splash of Oil !!! Today is a sunny Sunday day ... and on the menu tonight : ground organic Beef grilled on the BBQ, fresh Salad with Balsamic/Olive Oil ... served with "Frites maison a l'huile de Truffe et au Thym" (delicious homemade Truffle and Rosemary French Fries ...). A great recipe in 3 quick & easy steps !! - First, wash and dry the potatoes. Don't peel your potatoes for more taste and crispy ! - Last step, stir carefully the potatoes in the Truffle Oil, Thyme, Salt and Pepper. Put your Truffle Potatoes in the oven for 25mn, and wait. Just smell the flavor of the Truffle everywhere in your kitchen !!!! Preheat oven to 420 ° F.
Using a fork, mix in a large bowl the oil and seasonings. Add the potatoes and toss to coat. Place the potatoes on a cookie sheet with parchment paper. Make sure you have only one layer (do not overlap them). Bake 15 min. Carefully invert the fries and bake 10 min, until browned. 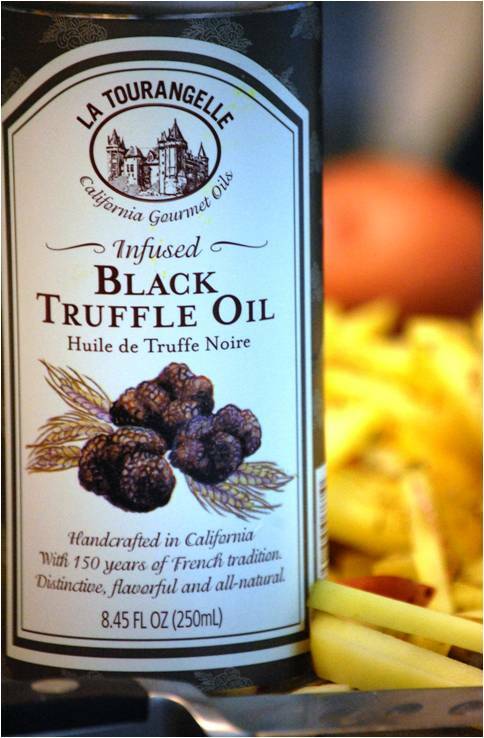 If you really like the Truffle taste, you can brush your potatoes with cold Truffle Oil just before serving.